Hubble just raised the bar. Or rather went deeper than ever before. The furthest back in time. 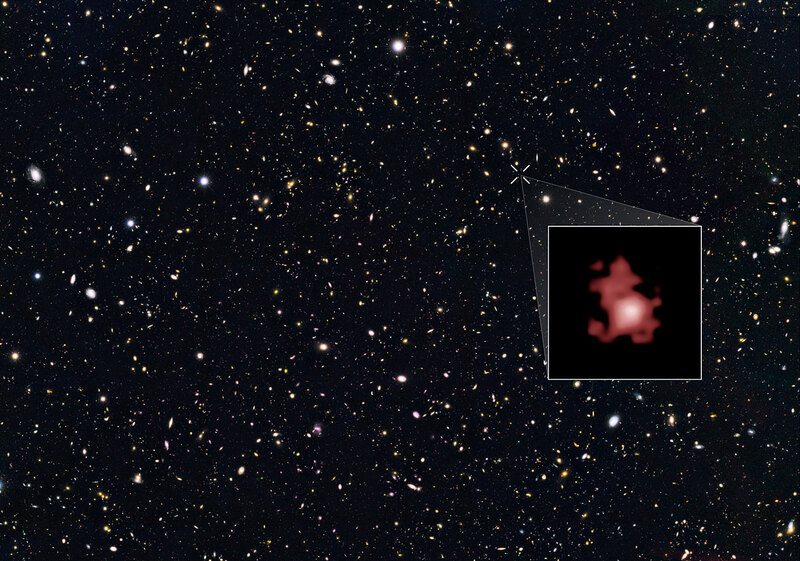 As noted in the article at Hubble Space Telescope ESA/NASA web site, a team of astronomers studied a galaxy called GN-z11 with the Wide Field Camera 3. Their spectroscopic observations showed that distance has a redshift of 11.1 which corresponds to 400 million years after the Big Bang. Or when the Universe was 3% of its current age. 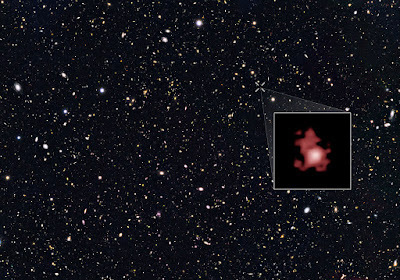 It is thought that with similar techniques, we'll soon be able to see the first galaxies. An interesting aspect of this, is that people thought only the James Webb telescope would be able to do this. That's exciting. Once the JWST is dialled-in, just what will it find? !